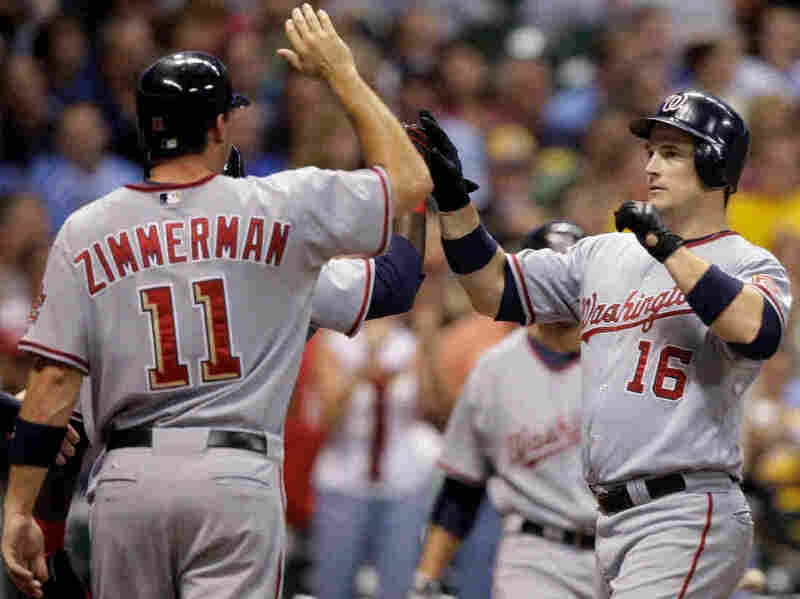 Back-To-Back Grand Slams : Blog Of The Nation Washington Nationals outfielder Josh Willingham hit not one, but two grand slams against the Milwaukee Brewers last night. Last night something incredible happened at Miller Park in Milwaukee: Washington Nationals outfielder Josh Willingham hit not one, but two grand slams, in back-to-back innings. He's only the 13th player in history to hit two in a game, and it hasn't happened for the franchise since they were the Expos, when Tim Wallach got eight RBIs on two grand slams in 1990. Check the video here. There's got to be a through-line here somewhere to Denny's getting sued for sodium content... Ever ordered a Grand Slam? The Moons Over My Hammy?